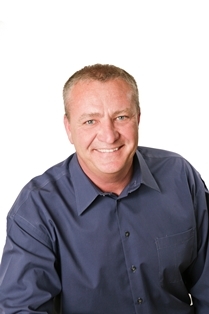 Jeff Kruschek is the Owner/Agent at ReMax Central- the leading real estate company in Central Minnesota. Growing up and living in the Morrison County area has been a great advantage for Jeff and his clients as his knowledge is used to make the best decision possible for both buyers and sellers. Even with years of marketing and sales experience, Jeff still takes time to learn and grow within his career, staying on the top of his game, all the time. Jeff is a “No Non-sense” real estate agent. He is dedicated, hard working, honest and flexible. He works hard for his clients to get the job done—Every time! During his free time, Jeff enjoys spending time with his family and friends. Jeff and his wife, Chris (Co-owner of Remax Central) enjoy boating, 4-wheeling and snowmobiling together, along with keeping up to their dog, Lola. Updated: 20th April, 2019 10:42 AM.